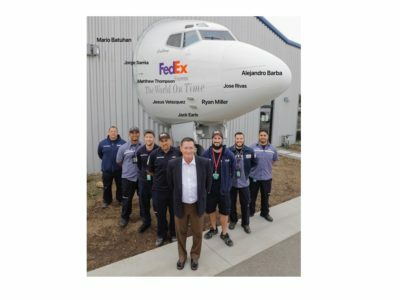 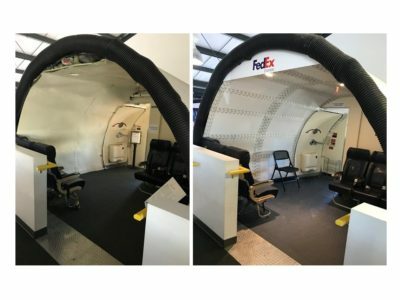 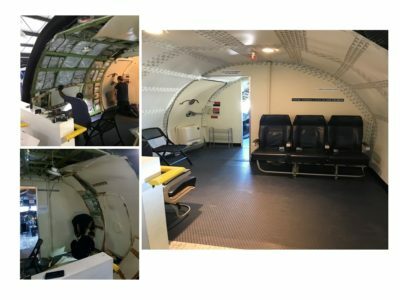 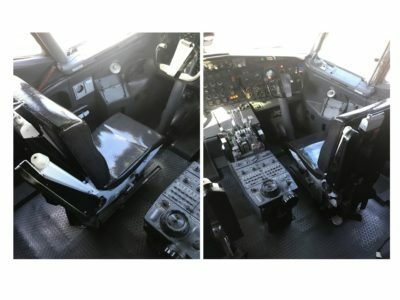 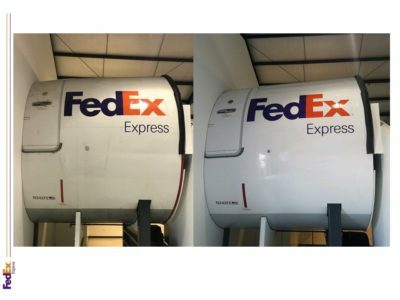 One of our most popular exhibits, our Boeing 727 cockpit, has just received a much needed sprucing up courtesy of FedEx, who graciously donated the plane to the Museum in 2011. 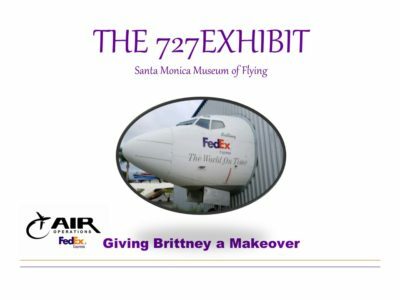 Senior Manager Jack Earls and LAX Aircraft Maintenance Manager Hector Chavez Jr. and their team of ace technicians gave our ‘Brittney’ a fabulous makeover, with fresh paint inside and outside the building, a composite floor, lighting in the waiting area, restored cockpit seats and new lights on the instrument panels. 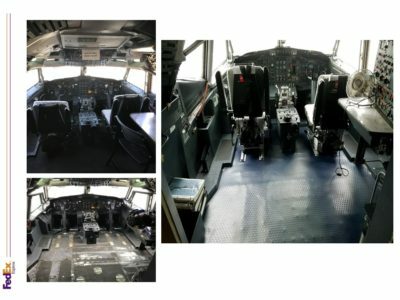 What we thought would be a quick and easy rebuild turned into a nearly two week restoration, and all the staff at the Museum couldn’t be happier with the results.